Learn to make small blown glass ornaments with a Hot Head torch- create unique holiday gifts and surprise your family and friends! Starting with Glaskolben pre-made glass tubes you’ll learn the tips and tricks for blowing these ornaments over a torch and how to embellish them with color. 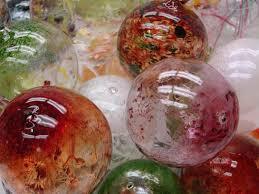 Each student will have the opportunity to make up to six blown Glaskolben ornaments! You can take your ornaments the same day. You must be 16 or older and all participants need a ticket (no spectators). No experience is necessary. Please wear close-toed shoes, no loose clothing and all hair must be tied back.